The “your days are numbered” trope can make for powerful fiction. You know the one: a character finds out that they don’t have long to live, and that puts their whole life into perspective. They might rail against their fate, looking desperately for some solution; they might accept the situation, and make the most of their last days. Often they’ll transition from the former to the latter. It’s a simple plot device that can lead to deep, meaningful character development – so long as it’s used right. Enigma is built entirely on this premise. Chester (that’s you) is sick with an incurable disease, and doesn’t have much time left – a few weeks, maybe. When he wakes up on the shores of a strange island, with no recollection of how he got there, he finds a new lease on life. Back on the mainland, this disease is an epidemic, but this unmapped island is, somehow, untouched. Could he find a cure, or at least take his last breaths in a calm, peaceful place, surrounded by friendly people who’ve taken a shine to him? There’s a lot of potential in that premise. 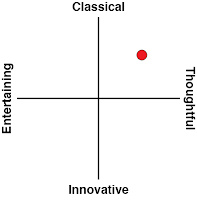 Unfortunately, Enigma delivers on almost none of it. 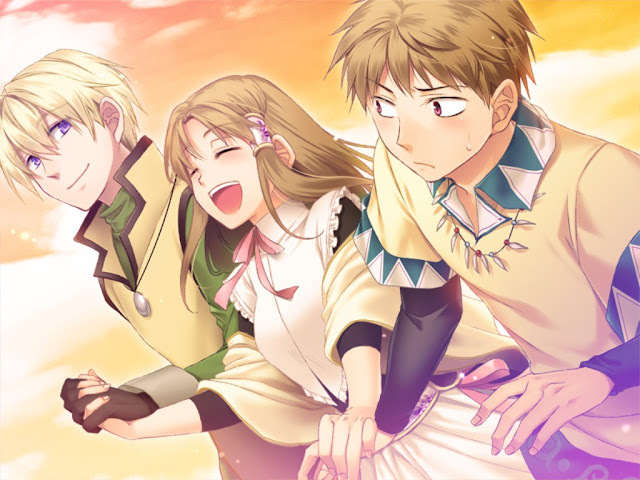 What should be a harrowing and bittersweet drama is instead a lifeless slog through awkward pacing, dull characters, and a poor localisation. Chester himself is an incredibly lifeless protagonist (pun intended). Despite the seriousness of his situation, he doesn’t really show anything resembling emotion. When a cute girl flirts with him – nothing. When he coughs up blood, reminding him just how close he is to the end – nothing. Even when he gets in fights, or runs into a strange creature that everyone on the island is terrified of, there isn’t the slightest hint of feeling. The supporting cast is similarly lacking in range. Colette is the love interest, and as such, she’s kind, caring, and shy. Tai is a boorish Gaston wannabe, which means he’s constantly angry, trying to start fights, and trying to force himself on Colette. There’s a rude, uncaring chap who may or may not be a villain, a mysterious stranger who isn’t as charming as he thinks he is, and a strange doll (the eponymous Enigma) who acts like a robot. There’s nothing inherently wrong with any of these designs, of course – character archetypes are the building blocks of fiction, after all. Enigma’s problem is that it never does anything to build on those basic outlines, leaving the characters to be shallow cliches rather than interesting people who bring heart and depth to the story. The only person who even comes close to having some sort of development is Colette’s little brother, Lauro. Even then, he’s a very typical tsundere who jumps very suddenly from hating Chester to being his best friend. That brings me to my other major problem with Enigma: the pacing is a disaster. Inordinate amounts of time are spent on the most mundane details, while key plot points are breezed over so quickly that you’ll miss them if you so much as blink. In fact, I can’t think of any other visual novel where I’ve had to check the message log so often, just so I could keep across what was going on. 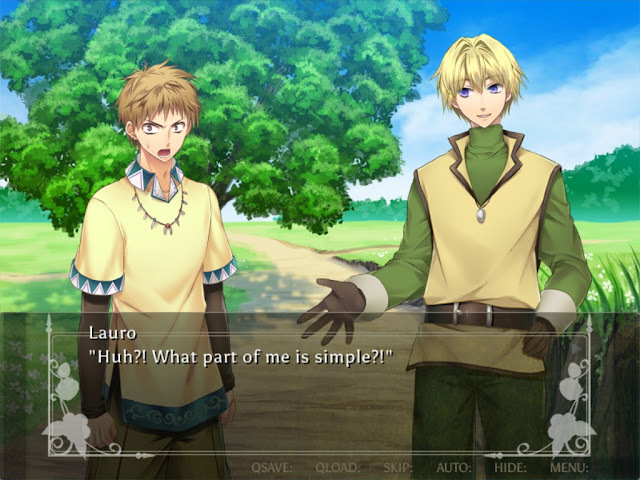 In one route, Chester and Lauro decide they’re going to return to the mainland. There’s a lot of focus on the logistics of the trip – what they need to take with them, where they can find a boat, how they can break through the barrier that protects the island, and so on. The emotional impact of that decision, however, seems almost like an afterthought. 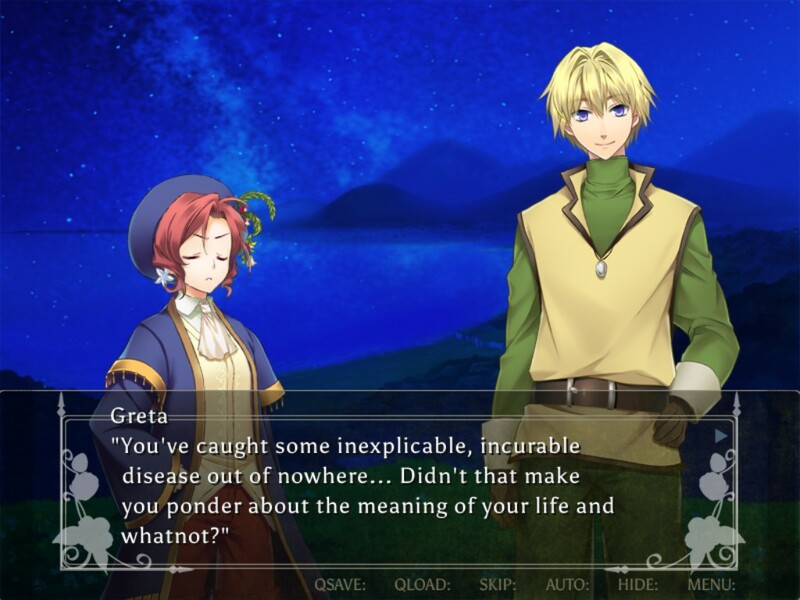 The game hardly touches on the fact that Lauro’s leaving his home for the first time and effectively abandoning his sister. When it comes time to actually leave, Colette’s there for a teary goodbye, talking about how much she loves Chester and how much she’ll miss him – despite the fact that she hardly knows him, and had almost no presence in the game up until that point. Topping it all off is a localisation job that leaves a lot to be desired. It feels like a very literal translation, which leads to a lot of awkward sentence constructions. At times, phrases just don’t make much sense at all. You can generally gather the meaning from context, but it’s nonetheless difficult to read, which just exacerbates the rest of the problems with the writing. A bit of proofreading wouldn’t go amiss, either. I will concede that Enigma has some lovely artwork. The character portraits are fairly simple, but they’re expressive and lively, injecting at least a bit of emotion into each scene. The backgrounds are gorgeous, as are the still images that put a spotlight on the game’s key moments. If nothing else, at least the game looks delightful. Unfortunately, pretty pictures aren’t enough to save it. 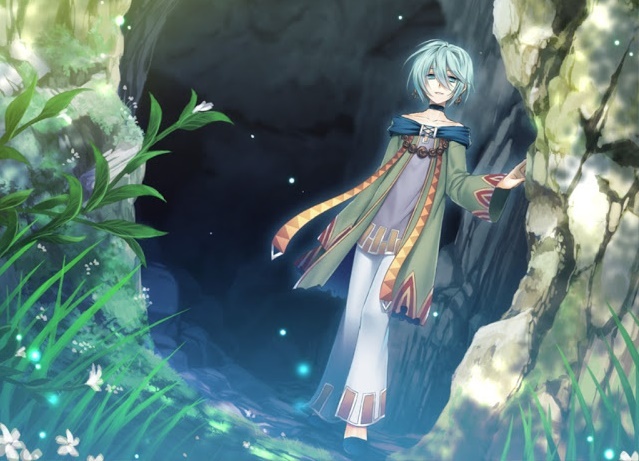 There’s a premise with a lot of potential in Enigma, but it’s squandered on cliche characters, uneven pacing, and rough localisation.